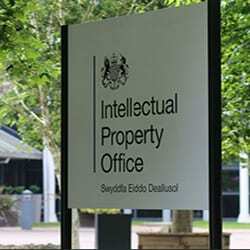 At the heart of UK intellectual property law is the Intellectual Property Office (IPO). This organisation maintains and builds the framework for intellectual property rights, comprising patents, designs, trade marks and copyright. Here, we take a closer look at the IPO to help you understand its function. Part of the Department for Business, Energy & Industrial Strategy (BEIS), the IPO’s role is to help manage an intellectual property (IP) system that encourages innovation and creativity, balances the needs of consumers and users, promotes strong and competitive markets and is the foundation of the knowledge based economy. It operates in a national and an international environment and its work is governed by national and international law, including various international treaties relating to IP to which the UK is a party. The creation and development of new technologies and industries, and the encouragement and growth of commerce are all essential to the economic wellbeing of the UK. They depend not only on the ingenuity of scientists, engineers and others but also on the investment necessary to develop and market new ideas. IP rights are widely acknowledged as an essential ingredient in many successful commercial enterprises. By giving legal owners of new ideas or brand names the right to stop others exploiting their ideas or names, IP rights create for innovators a system through which they can benefit from their creativity. This may be the invention of a method of making stained glass, the marketing of a new brand of soap, or the creation of a new musical work. These rights can be sold, hired, or licensed to others, or they may be used to safeguard investment in new ventures. Although the IPO has a role in the formulation of international as well as domestic policy on intellectual property rights, it is only concerned with granting rights under domestic legislation which are effective in the UK. However, it also plays an important role under the European Patent Convention and the Patent Cooperation Treaty, which provide alternative methods for obtaining or seeking patent protection in the UK and in the European Union Intellectual Property Office (EU IPO), which administers the EU trade marks and designs rights. In addition, they are responsible for the role of IP rights in supporting innovation and offer a range of non-statutory services aimed at securing more effective use in the UK of IP and, through the search and advisory service, the technical information contained in patents. This also involves promoting an awareness of such rights, both through an extensive range of literature and by holding regular seminars and workshops. The IPO became an operating name of The Patent Office on 1 December 2008. Whilst the origins of the patent system go back to the fifteenth century, the Patent Office itself was set up in 1852 to act as the UK’s sole office for the granting of patents for inventions. The Designs Registry, which was set up in 1839, became part of the Patent Office in 1875. A year later, registration of trade marks also became a Patent Office function. The IPO also includes policy divisions concerned with the formulation of national and international policy with regard to patents, designs, trade marks and neighbouring rights, including enabling companies and individuals to make the best use of IP rights. Although no registration of copyright is necessary in the UK, the Copyright and IP Enforcement Directorate of the IPO deals with the formulation of national and international policy with regard to copyright and administers the Copyright Tribunal. The Copyright and IP Enforcement Directorate includes an IP Crime Team, which is responsible for developing a national strategy for the enforcement of rights, particularly in areas relating to copyright and trade marks. To carry out its functions the IPO employs a wide variety of people in a wide variety of roles. These include patent examiners, trade mark examiners, designs examiners, patents formalities examiners and policy experts. Trade mark and designs examiners are responsible for ensuring that valid trade marks and designs are registered. Patents formalities examiners ensure patent applications satisfy certain legal requirements. All receive high quality training to carry out their role effectively. Some are graduates but this is not a requirement for these roles. A patent examiner is responsible for searching, examining and granting patents that are filed at the IPO. As such, they work to make sure that an application is patentable and can be granted. This differs from a patent attorney, who acts on behalf of the applicant. They are responsible for writing and filing an application and responding to search and examination reports written by a patent examiner at the IPO, with the aim of getting the best possible patent granted for their client. The basic qualification for a patent examiner is a first or second class honours degree in science, engineering, mathematics, or an equivalent qualification (e.g. corporate membership of one of the major professional institutions or relevant industrial experience). There are limited opportunities for patent examiners to work in specialised fields such as IP policy. More senior posts involve wider responsibilities such as hearings work. Trade mark and design examiners are civil service administrative grades. A number of these examiners are graduates. About Ben Micklewright: Ben Micklewright joined the IPO as an examiner in 1998 with a degree in Mathematics and a doctorate in Mathematical Physics.